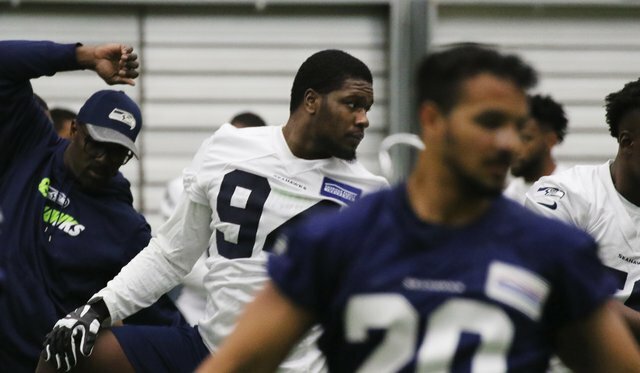 Seattle Seahawks rookie Malik McDowell is in some seriously hot water after he was arrested at a club in Atlanta over the weekend following a dispute regarding a $600 bill. A video of the incident was released to TMZ on Wednesday and it does absolutely nothing to absolve McDowell. In fact, it seems to confirm everything that was said against him after he was booked for disorderly conduct. He also begins bragging about the money he has made, which clearly doesn’t mean anything to the officers he has just insulted. In fact, it sounds a little bit like he’s let the fame go to his head and that’s the last person you want on your team. McDowell was released on a $325 bond (which should have been higher, in my opinion. He clearly has the money for it, just ask him) and has released an apology. Seattle coach Pete Carroll met with the player and says that he was “very remorseful” for his actions. Should the team punish this player for his disgraceful behavior in public and racist and sexist insults toward officers? Personally, I think he should issue each person who had to deal with him an apology, especially the woman he called a “b*tch.” Clearly his mother didn’t teach him how to respect women because even if you’ve had enough to drink, you don’t start hurling insults like that.